Tennessee is such a great state to live in! There are so many fun things to do. 3 hours away to Gatlinburg, TN. We only stayed 2 nights and 3 days but we packed a TON in!! We didn't plan ahead, at all, and that was to our detriment. and a few schools there with activities. So hotels were very full. 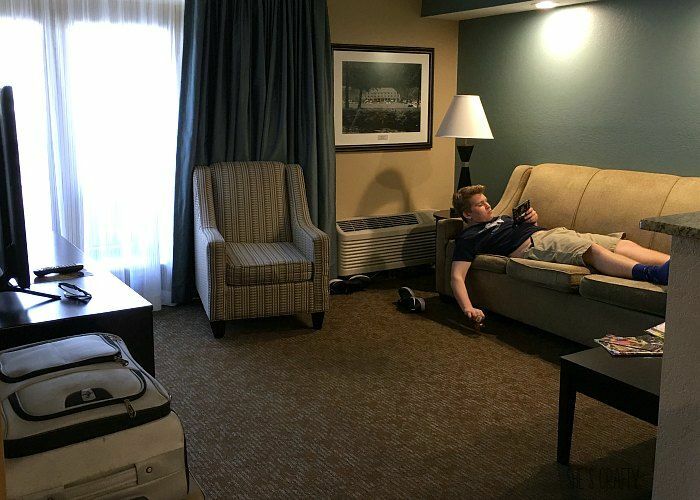 The first night we snagged a room at the Clarion Inn and Suites. The only room that was open was a handicap suite. It had a fireplace, a mini fridge and a microwave. But it did not fit our family at all. 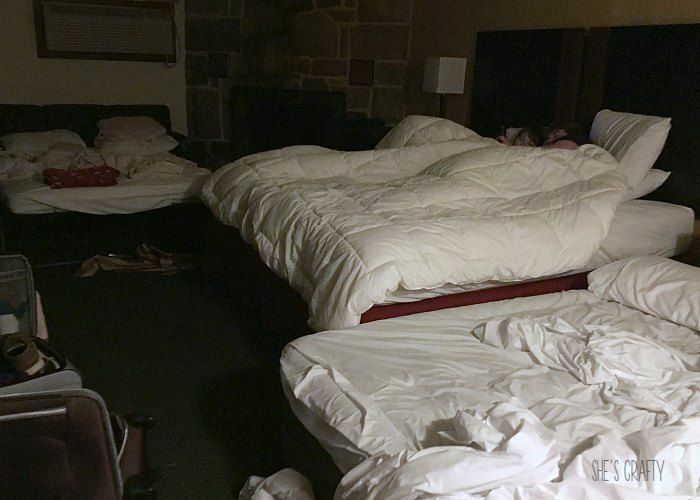 Luckily we brought an air mattress so our big teenager had somewhere to sleep. didn't work too well for us able bodied people. After a not so restful night, we headed out to have fun! 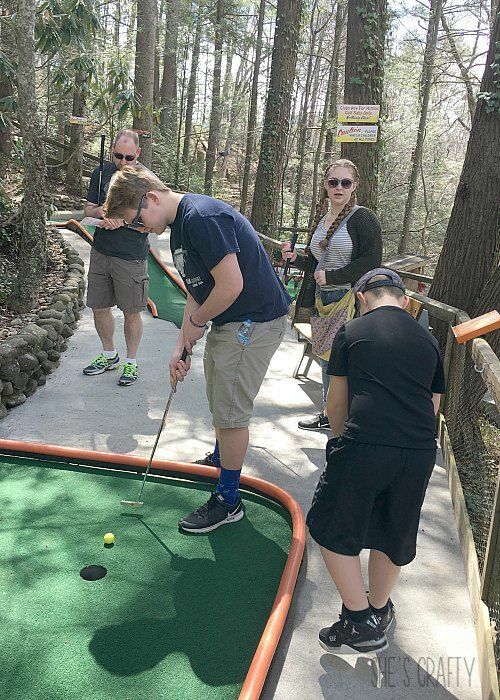 It is a crazy, awesome mini golf course on the side of a mountain. 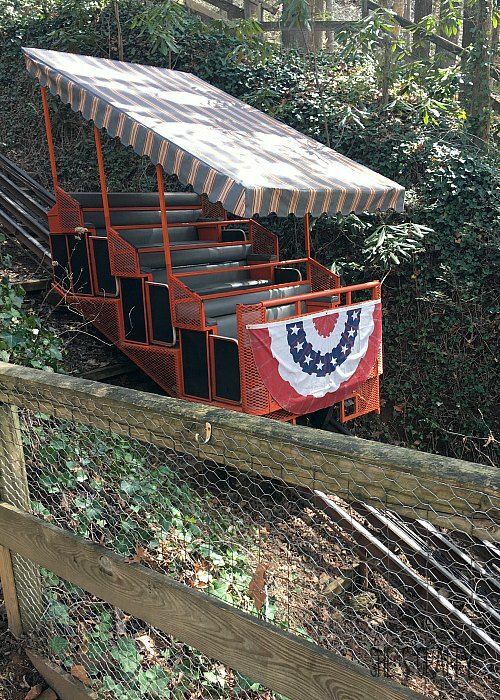 You have to ride this little tram up the hill, to begin the course. We all loved it and thought it was the coolest place we've ever mini golfed! The course was so well thought out and very well designed. 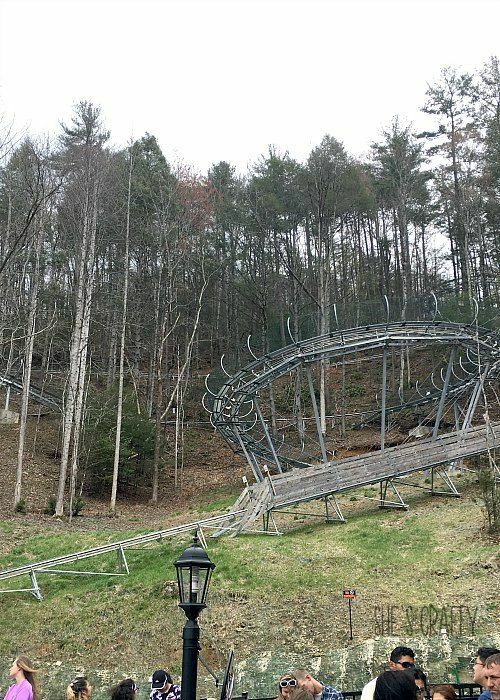 It's a cross between a roller coaster and an alpine slide. to the top of the track. Our little man wasn't so sure about this ride. But the big kids, my husband and I LOVED it!! We walked around Main Street for a while. We stopped in the shops and had a lovely time in the beautiful Spring weather. 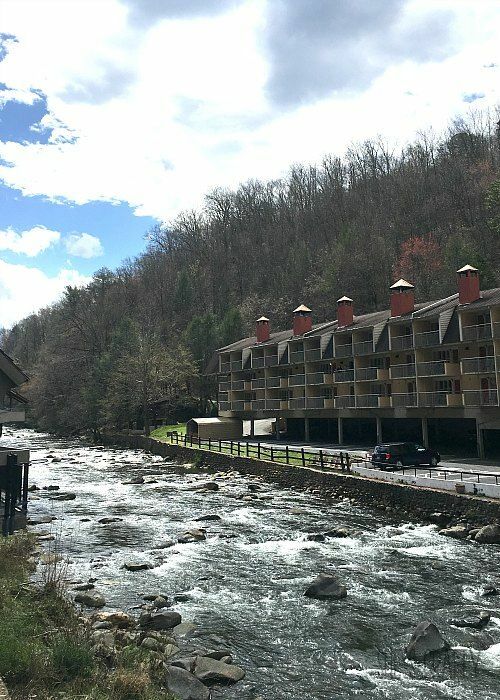 Our 2nd night, we stayed at the Greystone Lodge on the River. We booked a family suite. It had a bedroom with a queen bed, balcony and it's own climate control and tv. There were 1 and 1/2 bathrooms. 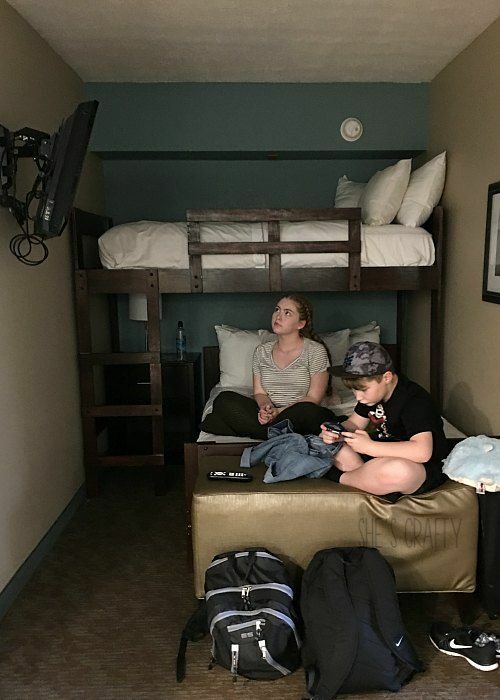 It also had a little bunk room with a twin over full bed, with it's own tv. It also had a living room with a balcony and television. 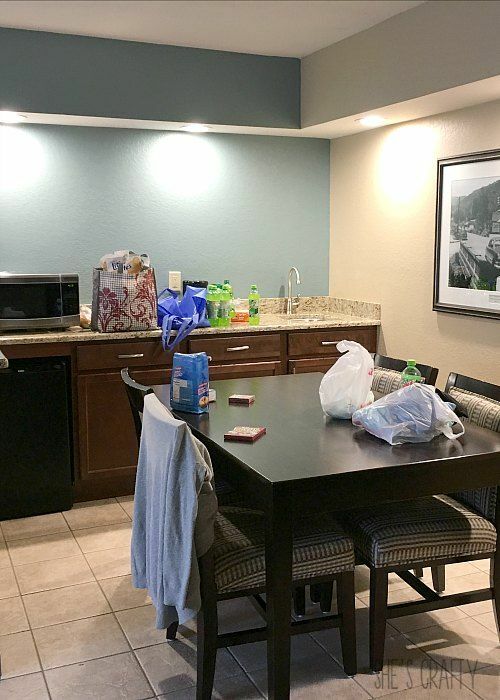 The suite also had a kitchenette. It was so perfect for our family!! We had enough bedrooms and bathrooms to make this stay very comfortable! listening to the rushing water, while relaxing with a drink and a book. 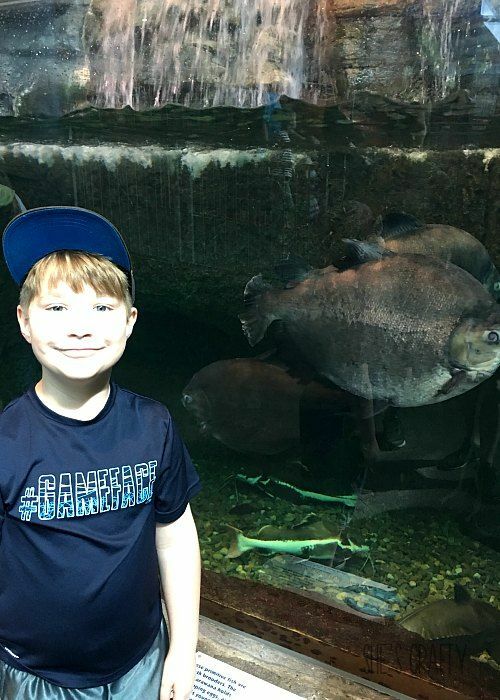 The next day we went to the Aquarium in the Smokies. 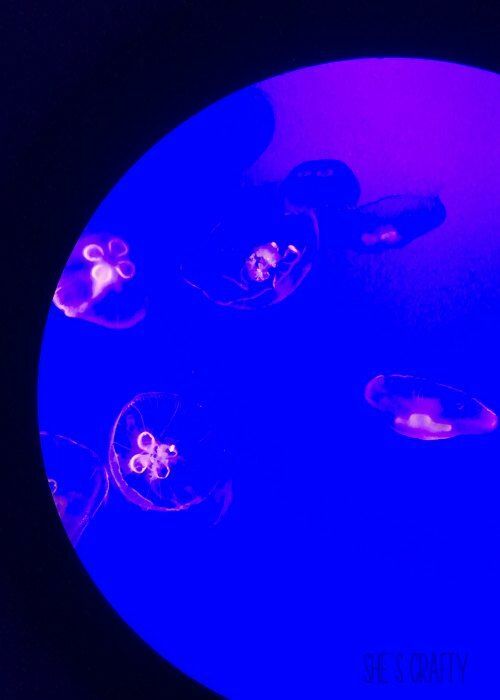 There were tons of interesting ocean creatures to look at. 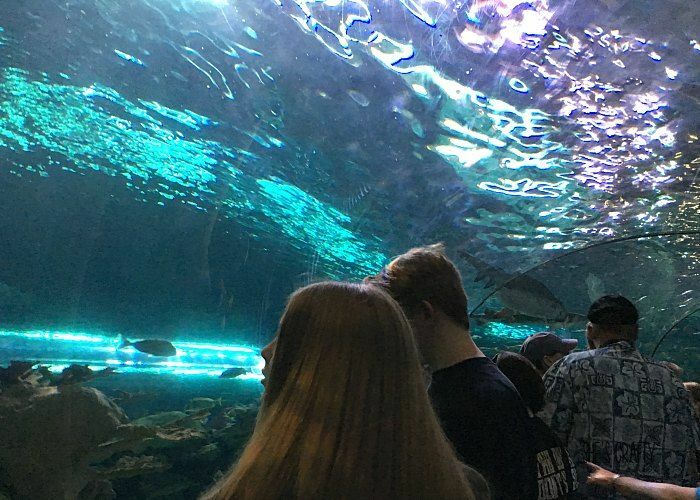 There was this cool tunnel that went through the shark tank. 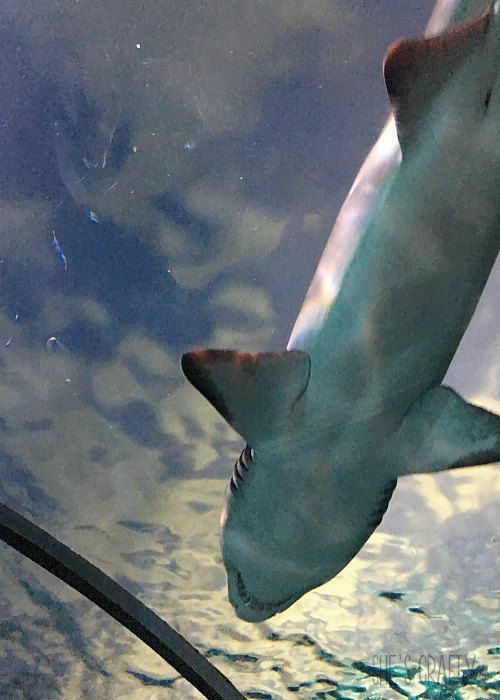 We got to see all sorts of sharks up close and personal! 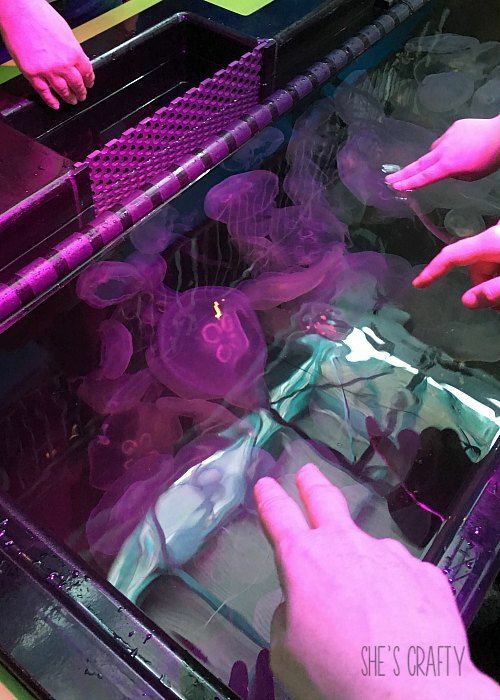 We got to pet jellyfish. They felt weird, like silicone. lunch at the little restaurant in the aquarium. 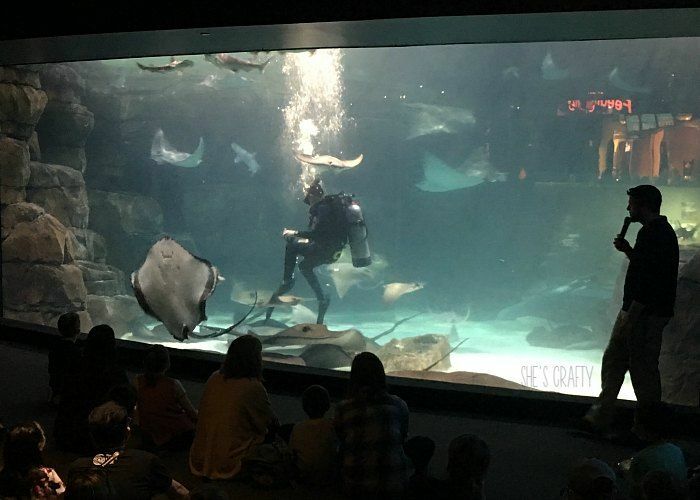 The diver fed the fish and the giant sting rays. 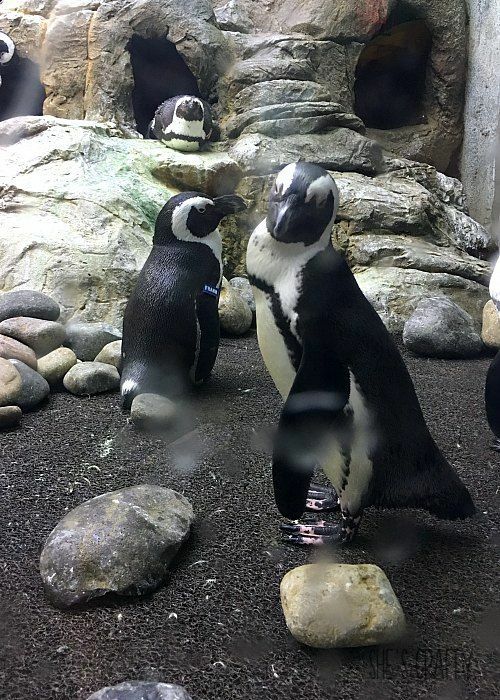 The penguins were so cute! 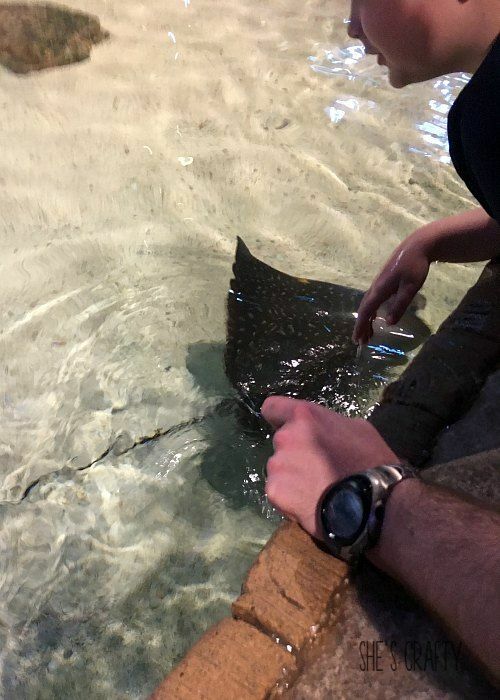 We also got to pet Sting Ray's. 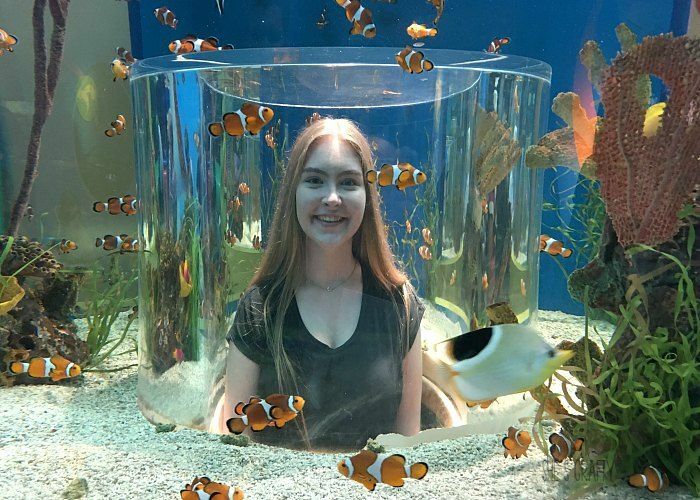 My cutie loved "swimming" with the clown fish. 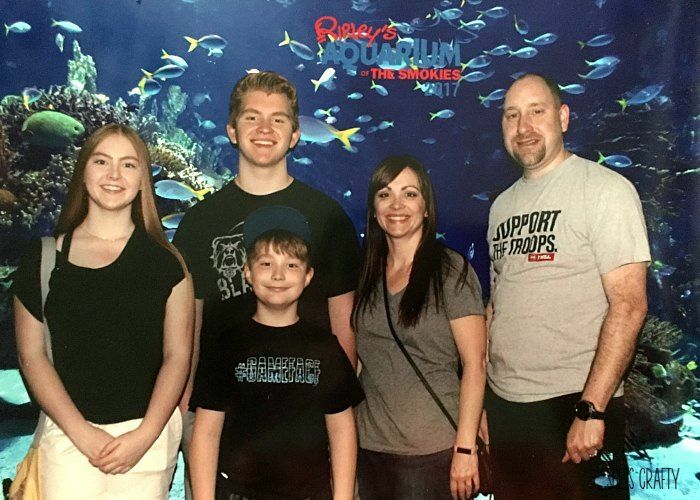 We loved the Aquarium at the Smokies. After the Aquarium, we went to Wonderworks. 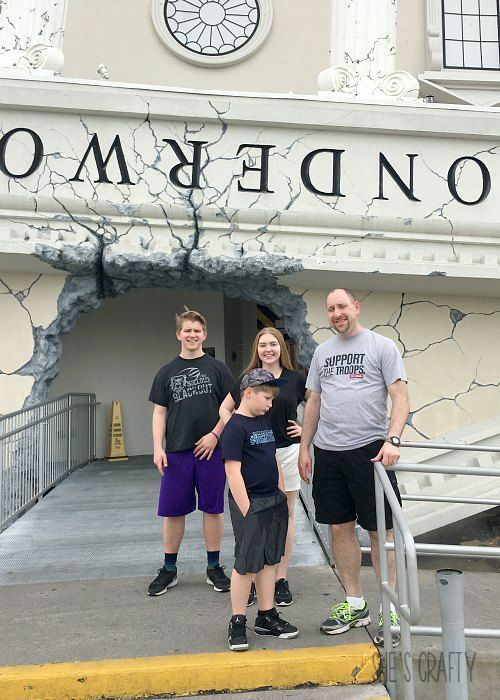 Wonderworks is just down the street from Gatlinburg in Pigeon Forge. 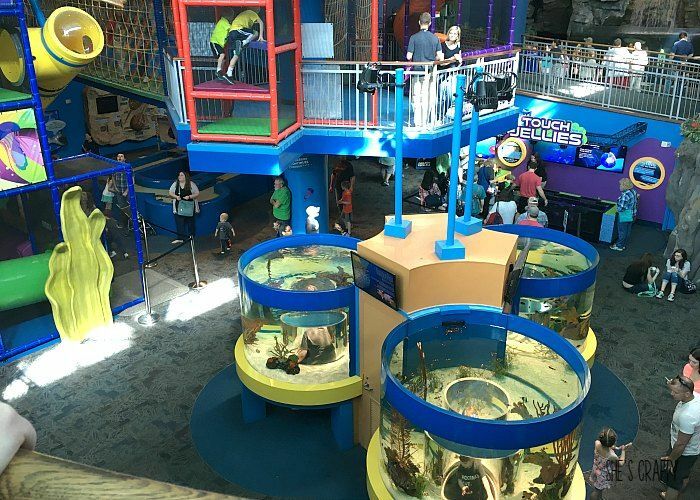 an indoor amusement park and a children's museum. 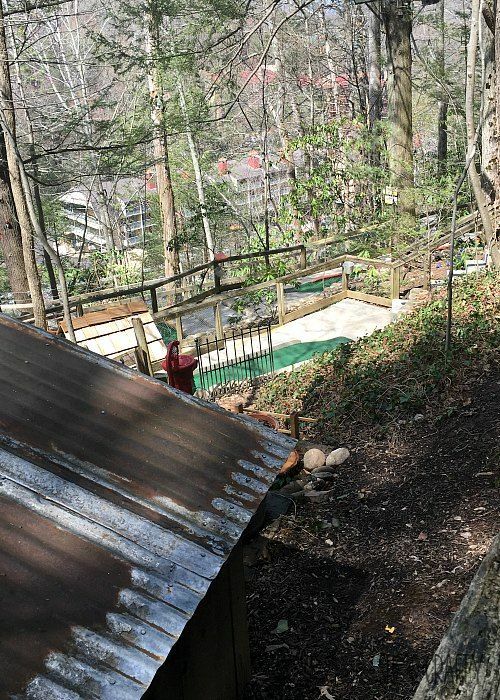 This isn't a great photo of the ropes course. But that's because it's rather dark 2-3 stories in the air. 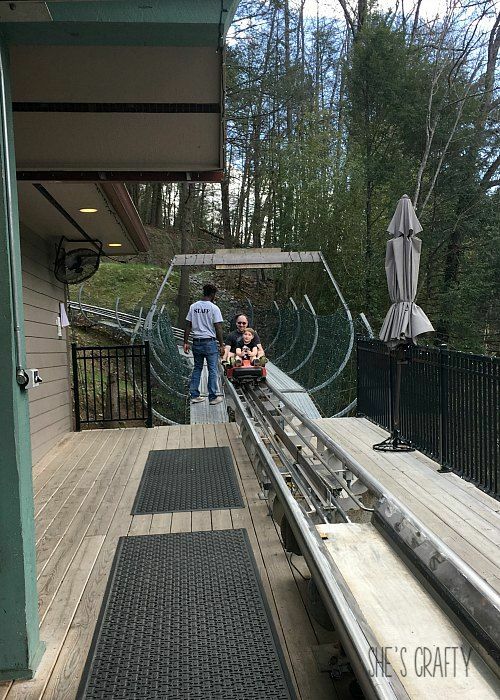 You are harnessed into this track system and climb all over in the air. There are stairs to climb, ropes to cross, etc. far down to see all of the people on the ground. 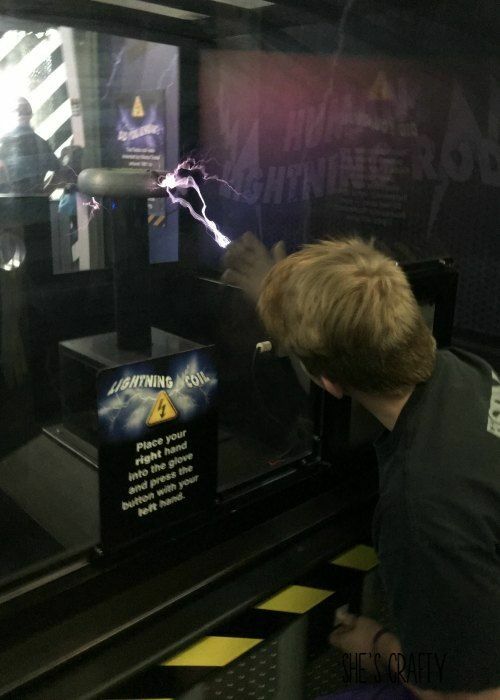 This is my son touching a lightening bolt. 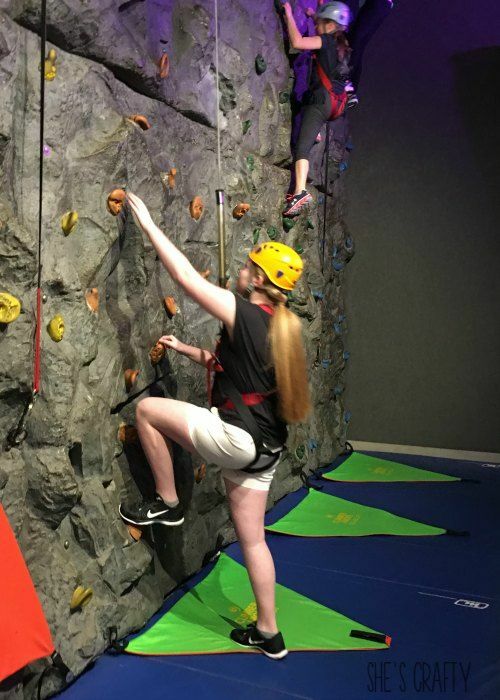 There is even an indoor rock wall. and a laser tag course. One could spend the entire day there and not get bored. 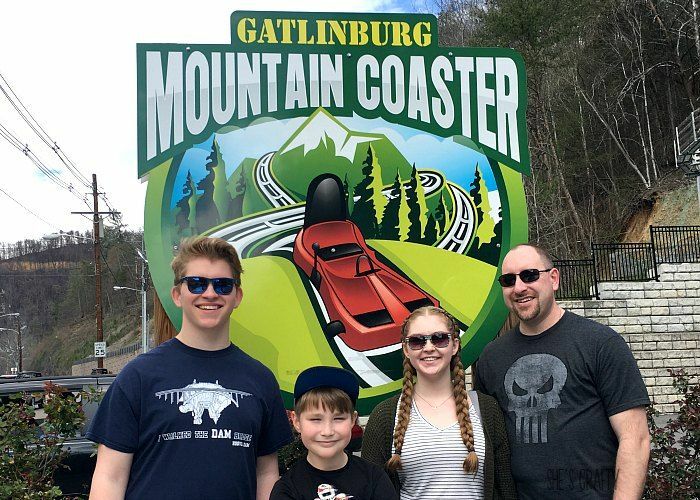 We had so much fun on our vacation to Gatlinburg! and what we'd do different next time. - oatmeal, granola bars, drinks, and a few treats. *We took an air mattress. *Everyone had their own electronics, books and toys for our down time. after walking and exploring all day. *We all wore shoes and socks since there was so much walking. 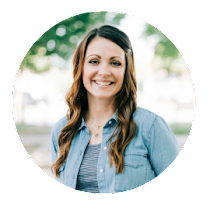 *I took a small purse with just the essentials so I didn't have to lug something heavy. so we didn't have to pay extra or look for other parking. *We stayed at hotels with free breakfast! *Remember to bring bedding for the air mattress. 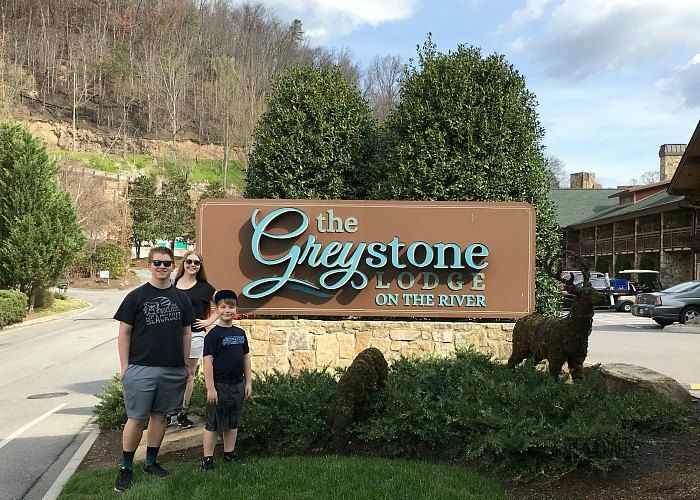 *Book the Greystone Lodge on the River for the duration of our stay. *Every thing and every activity is very expensive! 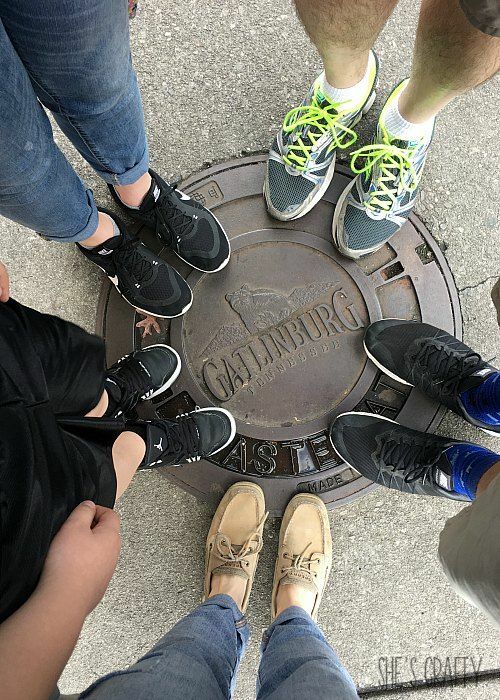 Gatlinburg is a total tourist town. *The traffic is completely insane. Plan for it so you can relax and be patient. and some will just walk right in front of your car. *There are tons of restaurants everywhere. *There is a trolley that drives up and down the main street. It costs $.50 per person/per trip. Or you can buy a wrist band at the welcome center for $2. 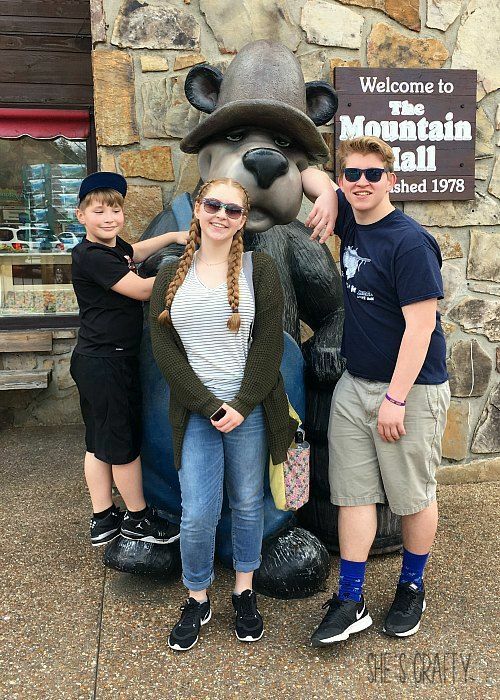 Glad you had so much fun in Gatlinburg. My husband and I went several years ago and had a wonderful time. 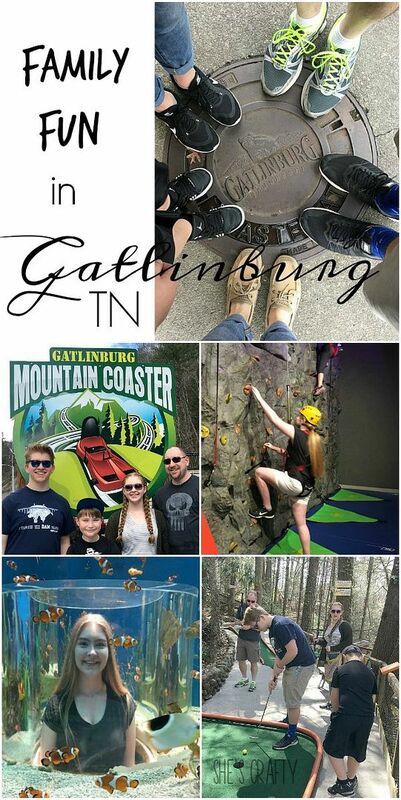 We stayed one night in Gatlinburg. 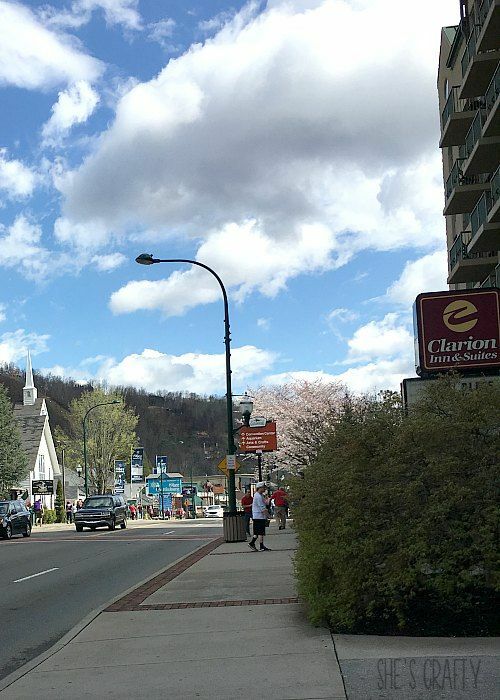 We walked the town and took the ski lift to the top of the mountain. From there we moved on to Pigeon Forge for two nights. We stayed at the Inn at Christmas Place. OMG! I am a huge Christmas fan so this was perfect for me. We went white water rafting (so much fun) and went on a hike. We had to end our hike really early as we saw a rather large bear. Seriously. We never made it to the water fall. We shopped at the Incredible Christmas Place for some Christmas decor. One day we drove over to the Biltmore Estate. My husband wasn't excited about going but he went anyway. After we took the regular tour and the behind the scenes tour he loved it. He has told everyone about it. Definitely worth the time to travel there...so much history and so beautiful. Take care! 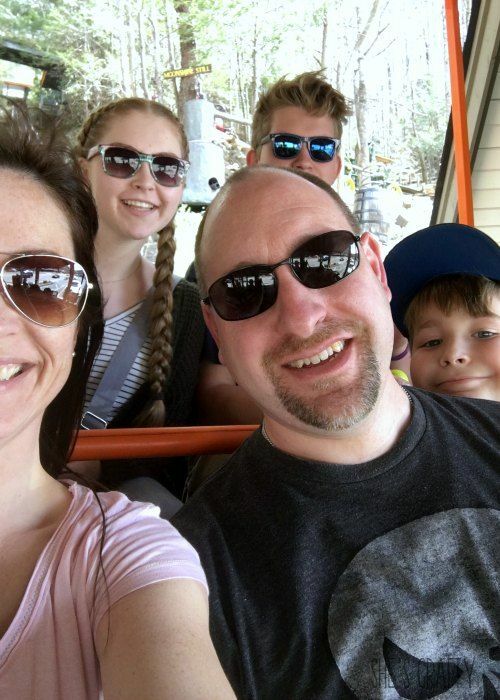 Thanks for sharing these fun vacation pictures. However, you much take a vacation to downtown Chicago, as well as other surrounding towns around Illinois. Great place to vacation to.